The Linton family has a century-old history of contributions to Korean society, making it a household name in the country’s religious, educational and medical circles. The family’s ties with Korea date back to 1895 when Eugene Bell came here as a Southern Presbyterian missionary. Rev. Bell established a number of Christian churches and helped build educational institutions including Jeongmyeong School and Yeongheung High School in Gwangju and South Jeolla Province. He also helped establish Jaejoong Hospital, currently Gwangju Christian Hospital, in 1905. William Linton continued to uphold Rev. Bell’s legacy after marrying his youngest daughter, Charlotte Bell. Also pursuing missionary duty in the Jeolla region, he established a number of schools there. He also founded Deajeon University, the predecessor to Hannam University, in 1956. William also participated in the anti-Japanese occupation movement during the 1910-45 colonial era, which the Korean government acknowledged later, honoring him with a national award in 2010. His third son Hugh Linton followed in his father’s footsteps, establishing a series of churches with support from existing Korean churches. He also participated in the 1950-1953 Korean War. In the 1960s, he built tuberculosis clinics in the country’s southern region, which was exposed to the risk of infection following a massive flood. 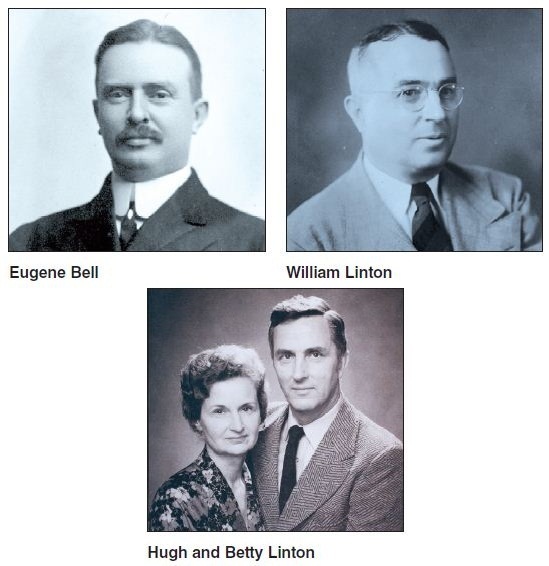 His second son Stephen Linton established the Eugene Bell Foundation in 1995 to mark the 100th anniversary of his great-grandfather’s missionary service in Korea. The humanitarian organization has been providing tuberculosis treatment instruments like X-ray machines, as well as other health and medical assistance, to North Korea. His younger brother John Linton is a renowned figure in Korea’s medical circles. The director of the International Health Care Center at Yonsei University’s Severance Hospital is now working as part of the ruling Saenuri Party’s presidential campaign. He helped establish the emergency medical system by developing special ambulances customized for Koreans in 1993. He has also continued sending medical supplies to North Korea since 1997 as part of his volunteer work. He won Korean citizenship in March, becoming the first foreigner granted citizenship for his contribution to Korea.